There’s something appealing about the gleam of classic yellow gold. It takes us back to the good old days, and it reminds us that some things stay true throughout the years, much like love. 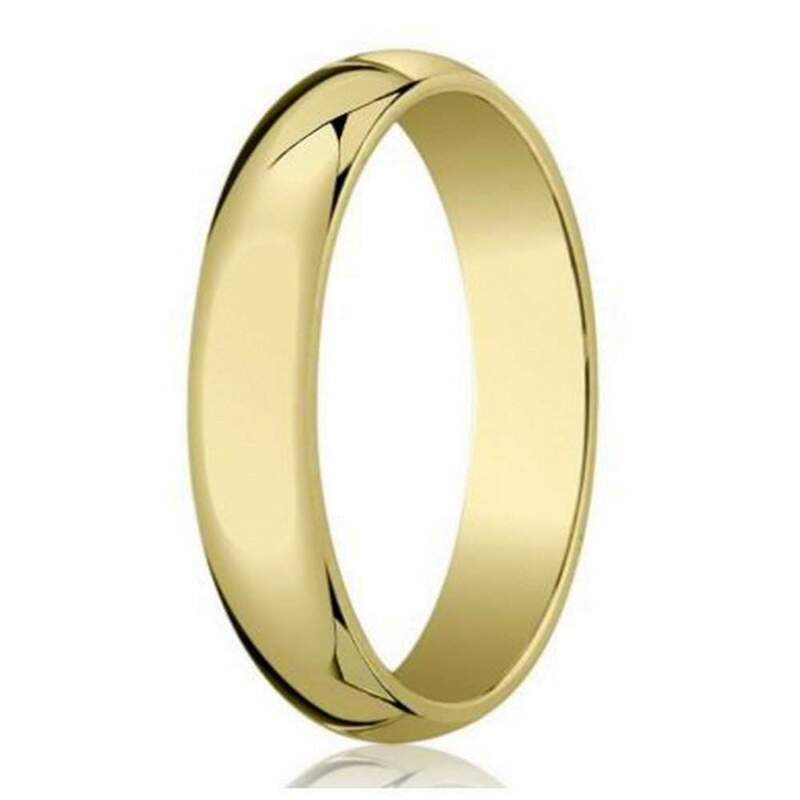 While modern changes are always good, our men’s designer 5mm traditional domed polished finish 10K yellow gold wedding band is the perfect option for a groom who prefers the classic, sophisticated appeal of the past. With no embellishments, this ring is tried and true for showing the world your commitment. What it lacks in extra details, it makes up for with its timelessness. 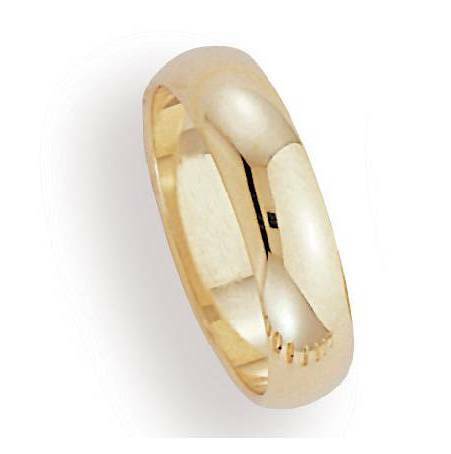 Incomparable 10K yellow gold offers an always stylish polished dome shape in our designer 5mm traditional domed polished finish 10K yellow gold wedding band. It’s the perfect option for the groom who is looking for something traditional, but still trying to stay conscious of his budget. We know that wedding planning is not only stressful, but expensive, and that’s why we offer high-quality products at low prices. We feel that everyone should be able to love the ring they are going to wear for the rest of their lives. In addition, we offer custom engraving of up to 30 characters. Bought this ring for my husband for our anniversary. It is beautiful and very nicely made. He loved it as much as I do!